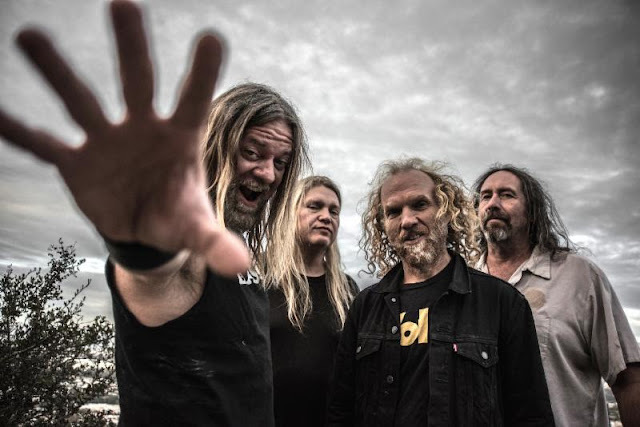 Part four of CORROSION OF CONFORMITY's No Cross No Crown video blog series is now playing. In an interview conducted by J. Bennett, the band discusses their sound evolution from their earliest days to now. Watch the clip at the Nuclear Blast YouTube channel HERE. No Cross No Crown, which marks the first recording with vocalist/guitarist Pepper Keenan in over a decade, will see worldwide release on January 12th, 2018 via Nuclear Blast Entertainment on CD, digital, vinyl, and cassette formats. Various preorder bundles are currently available at nuclearblast.com/coc-nocrossnocrown. Watch the band's recently-issued video for "Wolf Named Crow" at THIS LOCATION. Recording in North Carolina with longtime producer John Custer, No Cross No Crown sounds as though no time has passed between 2005's In The Arms Of God and today. Some of these new jams sound like they could've easily appeared on Wiseblood or Deliverance, two of CORROSION OF CONFORMITY's most revered records. Beefy Southern stompers like "The Luddite," "Little Man," and "Forgive Me" are interspersed with melancholy guitar interludes like "No Cross," "Matre's Diem," and "Sacred Isolation" - just like Sabbath used to do in the '70s. "We started doing that on Deliverance," Keenan points out. "My theory on that is that if you're trying to make a record flow, you need to break it up a little. When you need a breather, write an interlude. I like writing those mellow pieces just to space things out and make the next thing come in heavier."